This article was written by Kushan Gidwani, a student of Amity Law School, Noida. Death penalty has been one of the most controversial issues of all time, almost globally. Where one group of scholars, judges and diplomats are backing the concept of death penalty by providing a number of reasons and heavy statistics, the other group of lawmakers, researchers and professors are denying any perpetual or practical benefit to ever arise from such a gruesome form of retribution. Arguments for and against this concept have, since a long time, remained almost constant and do not differ much since their origins. Mammothic number of cases have been adjudicated and analysed on whether death penalty shall be the befitting penal measure; only to see vast variations among numerous instances. 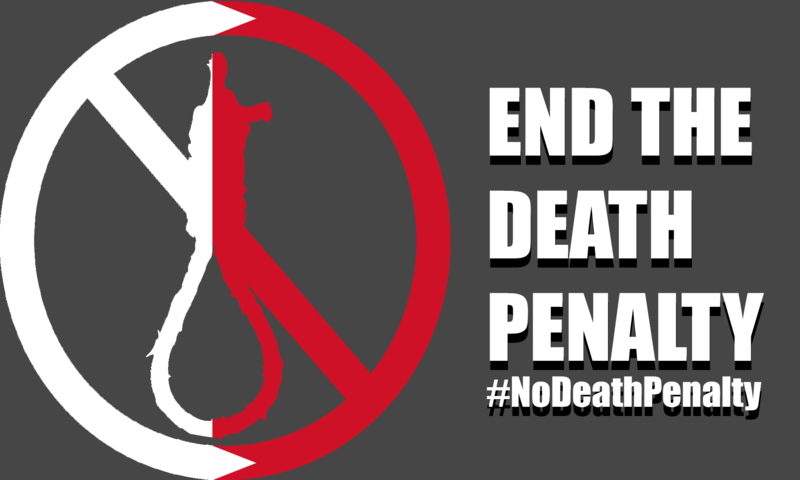 This has atleast showed us that the judicial establishments regarding death penalty are in shambles and are yet to fulfill the pressing need for following the standardized and analytical procedure for granting death sentences, instead of granting it on purely moralistic and opinionated ways. The brutality and heinousness of murders are the points of focus here. Two eminent professors have argued that capital punishment is not a lottery system that randomly selects a heinous crime offender and allots the supreme capital punishment. Rather, it selects the ‘worst of the worst’ (Relation of this phrase can be made to the judgement of Bachchan Singh v. State of Punjab which gave the ‘rarest of the rare’ doctrine). Their theory concludes with affording capital punishment the status of pride of the moral & judicial order along with public belief; of course in selective, appropriate cases of extraordinary heinous crimes. No person shall “be deprived of life…without due process of law”. No “cruel and unusual” punishments are to be inflicted. In the case of Glossip v. Gross, where it was argued on the constitutionality of the death penalty, it was held to be constitutional. Where the constitution expressly provides for circumstances where a person, by due process of law, may be “deprived of life”, it goes on to prove that a punishment which can be inferred as being contemplated by the constitution itself cannot be held to be unconstitutional. This head is most important as it forms the core of capital punishment. The foremost reason of providing death penalty to offenders of extraordinary heinous murders is to deter others from carrying out similar criminal activity in future. This has proved to be a highly debatable topic while discussing death penalty. Heavy statistics have been provided for and against the deterrence effect of capital punishment. Based on data from all 50 states from 1978 to 1997, each state execution deters an average of 14 murders annually. A 2003 study by Emory University researchers data from more than 3,000 countries from 1977 through 1996 suggests that each execution, on average, resulted in 18 fewer deaths per county. Firstly, the death penalty process is incredibly costly. After the death sentence is adjudged upon the accused and convicted, there are a whole lot of payments to be made for the various types of legal appeals by a team of lawyers for years to debate on whether the death sentence should be imposed. Secondly, it is confidently contended that there is an absolutely null amount of credible evidence to support that death penalty does, in fact, reduce the rate of homicide, as also addressed by a panel of National Academy of Sciences. Lastly, the immense amount of resources that are pitched into and wasted by debating and arguing over whether death sentence should be imposed, can be used for other methods of deterring such and other criminal activity. For instance, over the past 35 years the state of California spent roughly $4 billion to impose death penalty on 13 individuals; the amount which would have been enough to hire 80,000 police officers who would be expected to prevent 466 murders (and other criminal activity). The Indian legal scenario is based majorly on the aspect of ‘reformation’ of the death row inmate. Along with the heinousness of the crime, it is also considered whether the person is beyond reformation, evidence for which has to be provided for the court’s consideration. If no evidence is provided, it is assumed that the person has hope of reformation and the court will have to meet a high pedestal of justification if it wants to nullify this assumption. After a series of judgments passed solely on the heinousness criterion, in Sushil Sharma case the Supreme Court has finally given proper weight to the ‘reformation’ aspect, on the lines of Bachchan Singh v. State of Punjab (which gave the theory of ‘rarest of the rare’ cases and was meant for the courts to also consider the mitigating circumstances along with the aggravating ones). Sushil is presently on parole while the court analyses its final decision on whether to impose the death penalty. The fates of 22 others along with Sushil Sharma are at the mercy of the justice system of the nation, where the 22 others have already been provided with death sentences. But their cases were not evaluated while imploring the reformation aspect and balancing the aggravating and mitigating circumstances. Also, long periods of incarceration tends to change people in various positive ways too. But this possibility was never implored into by the authorities as there is no such system prevalent in our country. In this sense, there is double injustice being done to the 22 inmates on death row. Neither the possibility of their reformation was taken into consideration while sentencing them to death, nor is the system interested in evaluating them as the individuals they are today. The heinous, brutal, grotesque, diabolical manner of commission of a crime, to much extent, does define and reveal the true nature of the accused. But judicial proceedings and guidelines need to be strictly followed, especially when there are previous cases to guide through in dealing with similar cases. the “rarest of the rare” doctrine is one of the most misunderstood and carelessly applied doctrines. Death penalty may be the right way to go through with, but first, all the aspects of the case, on which death sentence is yet to be given, need to be crucially examined and all principles of previously decided cases applied before coming to any conclusion. Morally, no matter the amount of monetary losses incurred, in the end, justice should be delivered to the aggrieved; after all, this is the sole purpose of the judicial system of any country. Practically, much more good could be done to prevent crime with the use of monetary support – which would otherwise be thrown in to finance the counsels to argue whether to impose the death sentence – to finance the hiring of police officers and other task forces, and maintain a stable society.